My Big Lebowski Quilt: Check It Out! If you followed my low poly quilt making tutorial you might have seen it, but I am so excited to share some more today about my Big Lebowski quilt now that it’s all quilted and photographed and done. I call it “That Quilt Really Tied the Room Together” and I just submitted him to QuiltCon while crossing all of my fingers and toes and stitches. My amazingly talented friend Christine Perrigo quilted him up, and all photographs here are by my other amazingly talented friend Nissa Brehmer of Page + Pixel. (“And proud we are of all of them.”) Rule #1 of quilting: know awesome people. Do you know The Big Lebowski? Of course you do. It’s a 1998 film by the Coen brothers starring Jeff Bridges, John Goodman, Julianne Moore, Steve Buscemi, and more. And it’s a cult classic. TBL has inspired three annual festivals in the US and UK, had two spider species named after it, and served as the cornerstone of Dudeism, a new religion/practice/what-have-you. People who love the movie really love the movie, and lines from it have become part of our everyday lexicon. Hell, I’ve referenced the movie three times already in this post. I wanted the Dude quilt to pay homage to the film, but also to comment on the way that a lot of people have worshipped it specifically (and cult movies and pop culture more generally). So I decided to combine the Dude with the religious iconography of Catholic stained glass windows. The low poly construction echoes the glass facets, and I chose lots of metallic silver and gold to weave into the piecing. Holy smokes, did she deliver. I love the little details she included throughout the quilt, from the hair and beard and clothing details to the movie allusions. Rather than traditional Roman numerals on the bottom left, she quilted the Dude’s mantra, “ABIDE.” He has bowling balls “reflecting” in his sunglasses. The background texture is taken from the design of a Persian rug (an object which holds major importance in the film). Then I sent the quilt to Nissa and Kristy Zacharias, who arranged these wonderful photos of the Dude in context, complete with a White Russian. I can’t even. Posted in QuiltCon, Sew and Tell | Comments Off on My Big Lebowski Quilt: Check It Out! I’m taking this week off (because let’s be honest: you’re either at QuiltCon or following QuiltCon in a fit of jealousy, as am I). However, if you’re at QuiltCon this weekend, be sure to drop by the Page + Pixel booth! Kristy Zacharias and Nissa Bremer are a designer and photographer who have teamed up to offer services for those looking to publish instructional books and patterns. I’ve got a few pieces of Wordcraft swag there, so be sure to grab some! When I went on the hunt for a quilt to feature for the RST Quilt-along, I had a pretty clear vision. It had to have a modern aesthetic. It had to be from an independent, rising designer. It had to be new enough that there weren’t 40 other QALs to compete with. Rachel van Tilborg’s Friendship Bracelet quilt was all those things, but it was perfect for another reason: its theme expressed my goal for this website so perfectly. Hello from beautiful Austin! Rhonda and I are power-lunching and drinking mojitos as we speak and I’m sitting here being rude and posting this. ROUGH LIFE. We’ll be in classes (and hanging out at the Moda Party tonight — don’t forget about our T-shirt giveaway!) tomorrow and Saturday, but we’ll keep Instagramming. Be sure to follow us @rightsidestogether for up-to-the-minute QuiltCon goodness! If you’re reading this on Tuesday, I am very likely in a packing frenzy for QuiltCon at this very second. You probably are too… why are you reading this? GO PACK! So here’s our QuiltCon preview: we’re very excited to be bringing you news and scenes from Austin beginning tomorrow, and we’ll be sharing our impressions along with some photos from the QuiltCon show on Thursday. In addition to the awesome classes and lectures, the convention offers a whole hall of exhibitors (retailers, publishers, manufacturers, etc.) 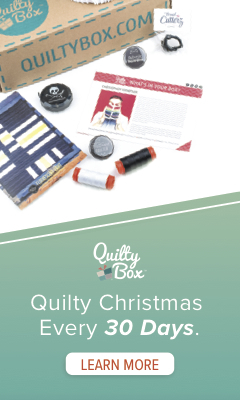 so I’m excited to check out what’s new and notable in quilting and sewing swag. We’ll pass all that on to you on Thursday: if you’re not headed to QuiltCon, you can still be in the loop; if you’re with us in Austin, be sure to check out our faves before you hit the convention floor! In addition, we are opening up a giveaway for a delightfully snarky RSTee of your choice from now until they kick us out of the Moda party on Thursday night (10:00 p.m. Central). You absolutely DO NOT have to be at QuiltCon to join in the fun. To enter, simply repost today’s Instagram photo, tag and follow us @rightsidestogether, and hashtag #RSTDoesQuiltCon. Anyone can do it. HOWEVER, if you are at QuiltCon, you can qualify for a bonus entry by finding one of us at the Moda party (Rhonda and I will both be wearing our RSTees), posting a selfie with us, and tagging it as above. Cool? Cool. Hope to see y’all in Austin!